While visitors to Faneuil Hall will always have the Cradle of Liberty, the street performers, and that location of Cheers made to look like the one on TV, a darling of the tourist dining scene will soon serve its last spinach and artichoke dip. Hillstone Restaurant will close at the end of business tomorrow, October 15. It opened originally as a Houston’s 15 years ago before undergoing a name chance in 2010. 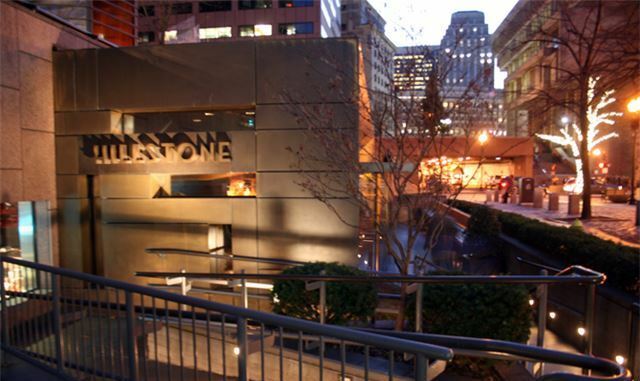 With the Boston branch shuttering, the closest place one can get a hit of Hillstone will be New York City. Boston magazine reports the decision to close came as its lease was up; however, the Beverly Hills-based chain maintains they will continue to seek a new location—just not in such tourist-laden locale. “While many people work in the downtown area, it’s probably fair to say local Bostonians prefer other neighborhoods when considering nighttime or weekend dining plans,” said Hillstone vice president Brien Biel to Boston.